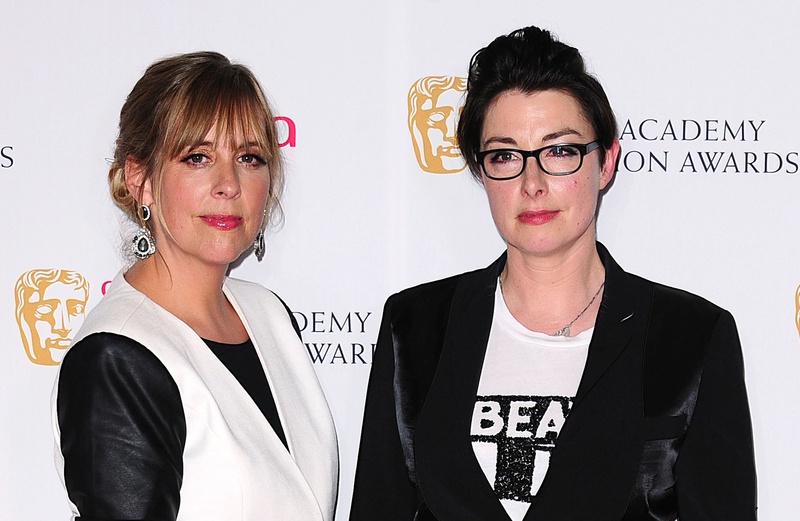 FAN favourites Mel Giedroyc and Sue Perkins have shared a teaser image image ahead of a special competition for next month’s Comic Relief. The former Great British Bake Off presenters and funny-ladies look like they’re having a blast while they model this year’s new range of red noses. A whole host of comedians and TV personalities have also been revealed as guest judges, including Julian Clary, Miranda Hart, Rufus Hound, Tameka Empson, Russell Kane and Adil Ray as Citizen Khan. They will be joining the panel alongside Jo Brand, Jason Manford, Paul O’Grady, Frank Skinner, Jennifer Saunders and Claudia Winkleman. The programme will see a line-up of stars dressing up to re-enact their favourite musical moments. But this year they will face the double challenge of both singing and dancing as the show steps up a level from Let’s Dance For Comic Relief. Confirmed acts include astrologer Russell Grant performing 1980s disco hit Chain Reaction by Diana Ross, actresses Harriet Thorpe and Helen Lederer covering Abba classic Dancing Queen, and Casualty and Holby City stars Chizzy Akudolu, Tony Marshall and Amanda Henderson performing Uptown Funk by Mark Ronson ft Bruno Mars. Specially formed group acts include Boys Allowed, made up of Gareth Gates, Duncan James, Jon Lee, Ritchie Neville and Ben Ofoedu, performing Girls Aloud’s Biology, and The Chasers, made up of stars from ITV’s The Chase, taking on a musical medley of Wizard Of Oz numbers. Let’s Sing And Dance For Comic Relief begins on BBC One on March 4 at 6.45pm.